The iPhone 6's screen may be larger, but the keyboard is still small enough to send awful ducking typos even if you don't have massive sausage fingers. Instead of lugging around a full-size keyboard, why not let your dreams come true and get some assistance from everybody's favorite Droid? 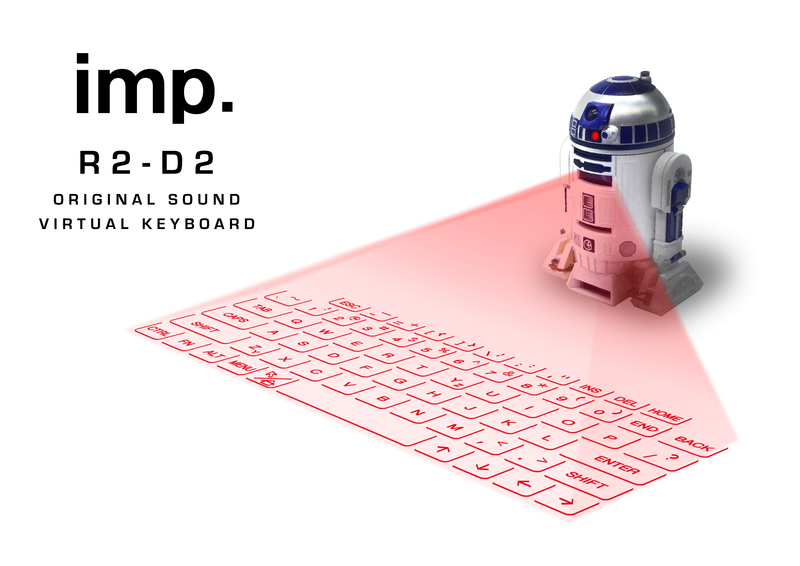 The size of an iPhone, this mini R2-D2 Keyboard uses its holograph powers to project a laser keyboard onto the table. Naturally, the Bluetooth keyboard gives you Star Wars sound effects as you type, and lasts for around three hours—not great for a Bluetooth keyboard, but heck, that laser ain't gonna run on its own. Ethan Wolff-Mann is an editor at Supercompressor. He doesn't know how he feels about the new Star Wars. Follow him on Twitter @ewolffmann.